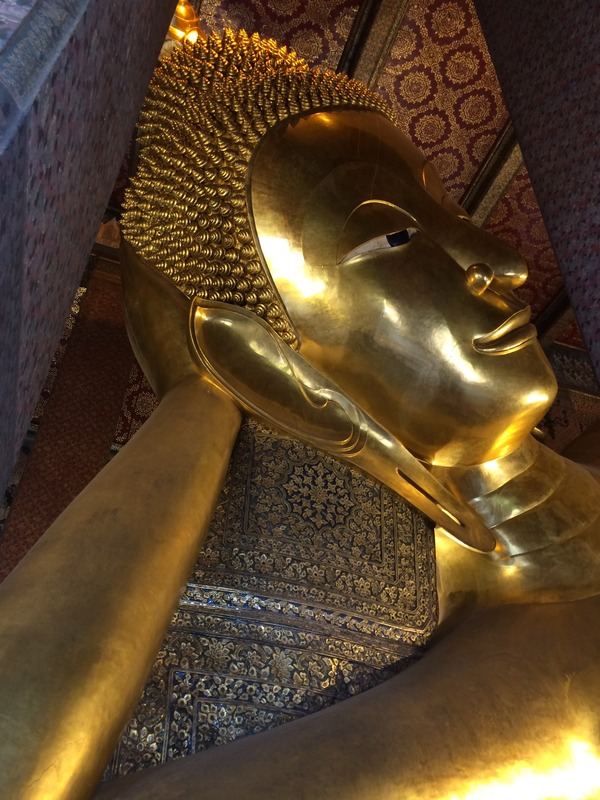 The Big Reclining Buddha in Yangon under Renovation – A View through the Scaffolding! I don’t know much about Buddhism. Have not been travelling lately because I need to be here as a care giver. 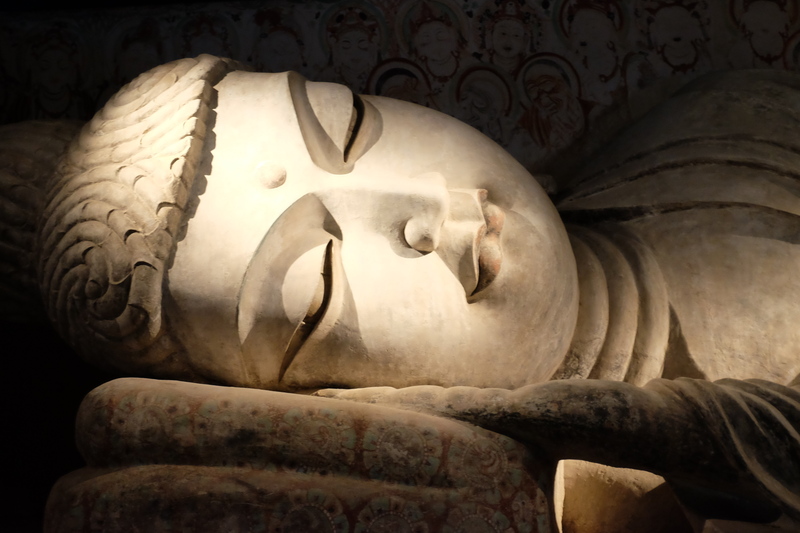 However, I have been vising a local museum which is right now having an exhibition of the DunHuang caves of China. They are just fascinating, although the exhibits are mainly replicas. 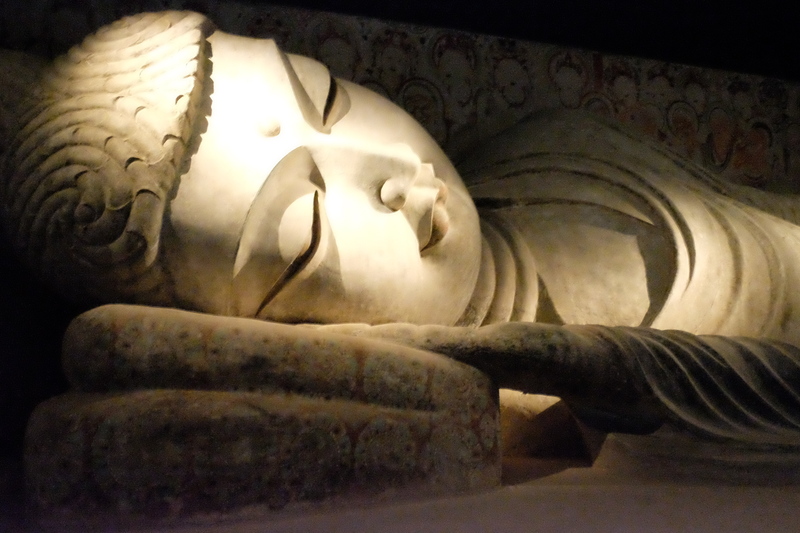 I am most impressed by the real size replica of the nirvana sculpture of the Buddha. The Buddha has a neatly grown cranial bump. On his face, there is peaceful expression, in contrast to the pain and sorrowful expression of the mundane death. He looks as he is just falling into sleep with joy and gratification. The entire sculpture bespeaks the ultimate realm of enjoying spiritual tranquility!